Introducing buildable, codable, interactive robots from UBTECH Robotics, so you can blast off into STEM with the JIMU Robot AstroBot Kit! 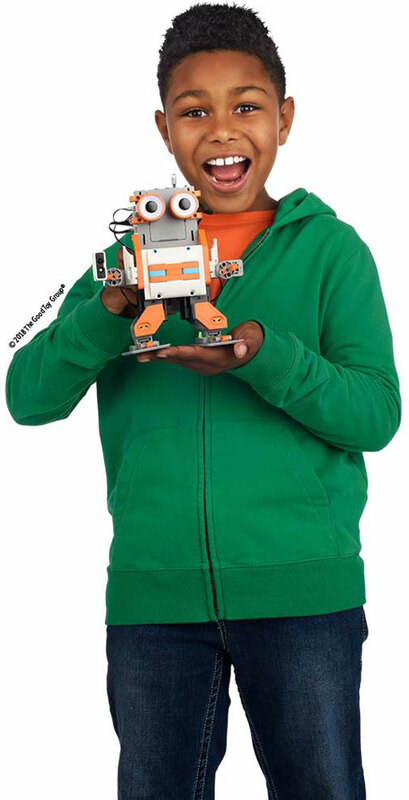 Build and program three fearless robots – AstroBot, Rover, or Astron – or learn to control your very own JIMU Robot creation! In this kit, you’ll find everything you need to build three, irresistible robots or build your very own JIMU Robot creation. 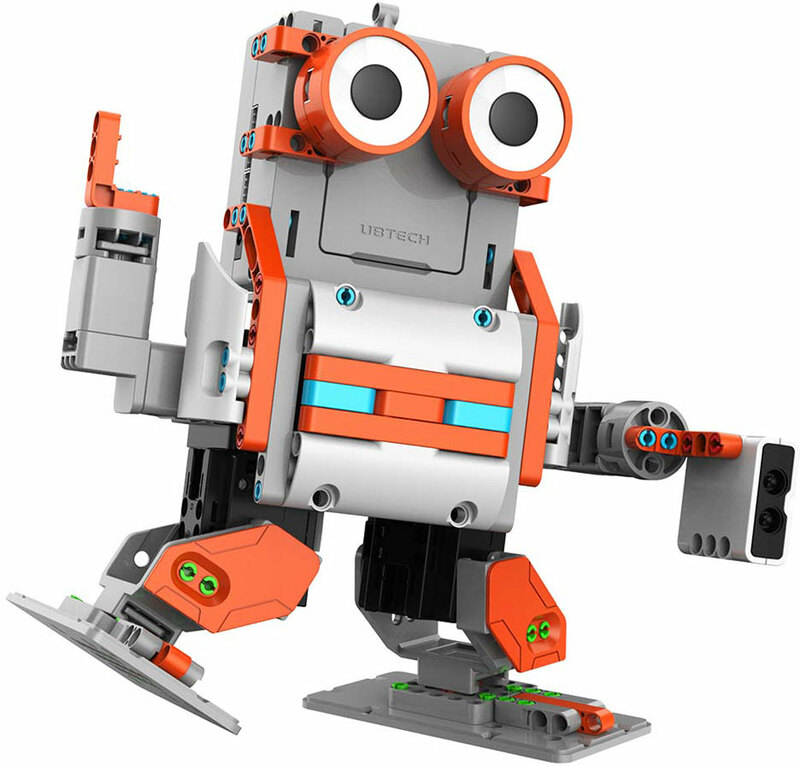 Learn hands-on engineering by programming JIMU robots to navigate obstacles, pick up objects, control light and sound effects, show emotions, and more using Blockly code.The kit also offers JIMU Masters the ultimate combination of robotics hardware and coding fun. All-terrain treads, an infrared sensor, two LEDs, and a speaker is all the tech you need to take your imagination and coding skills into the future, and beyond! You can create entirely new, custom actions with the PRP (Pose, Record, Play) function. Blockly coding makes programming simple and fun. Drag-and-drop interlocking blocks of customizable sequences to make your JIMU robots navigate obstacles, pick up objects, control light and sound effects, show emotions, and more. However you play, this kit will strengthen programming skills and provide invaluable learning experiences. Requires a compatible iOS or Android device. Power adapter included. Measures approximately: 8.00 x 6.00 x 8.00 inches..